I usually don't have time for competitions especially if they aren't 100% something that I am interested in but this one I am - prize is super amazing (who'd turn down the opportunity to win a trip to see the northern lights?!) plus I have literally been going on about booking an amazing holiday for months now! After making a big jump and visiting Thailand last summer I now, no longer want to go to just Spain and an after something much more fulfilling, experiencing something I can come home and be proud of. As I said, I went to Thailand last year, but stupid me, though that 2 weeks would be enough - was I wrong! We did a trip every day and there was still more to see. I have wanted to go back and explore more ever since I left. It was the best holiday I have even been on and I am desperate to go back! I would love to pack up and go travelling around that area of the world for a few months if I could but it's not right for me at the moment - one day though I hope! This is a tricky one, I know I want to go there but I don't want to yet - I'm thinking this is where I want to honeymoon one day - three part honeymoon anyone?! 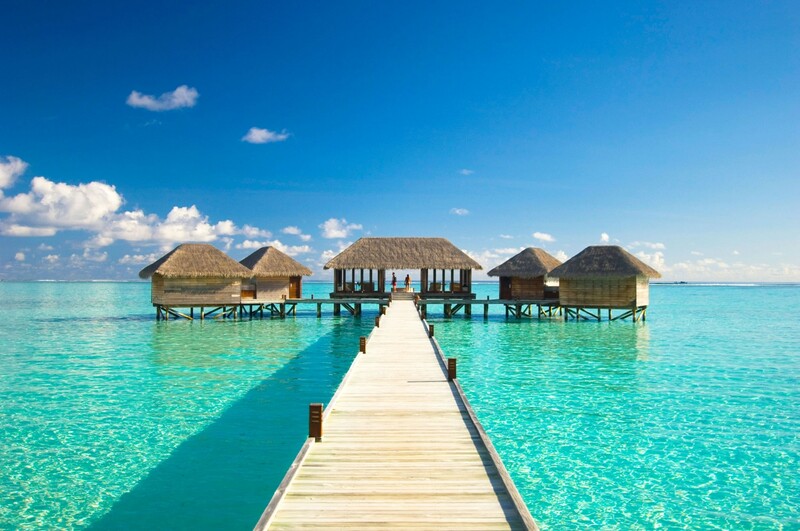 I have forever been dreaming of the aqua water, the palm trees and the beach huts. And if I was going travelling around Thailand and east-Asia, of course I would have to make a stop in Bali. To me, it's a very calm, relaxing and romantic version of Thailand - still lots to see there as well. I want to visit places where the culture is completely different from here, I want to try foods that I have never even heard of before, see new places and experience everything that the country has to offer. This one is one I would like to visit but not necessarily have a full holiday at. 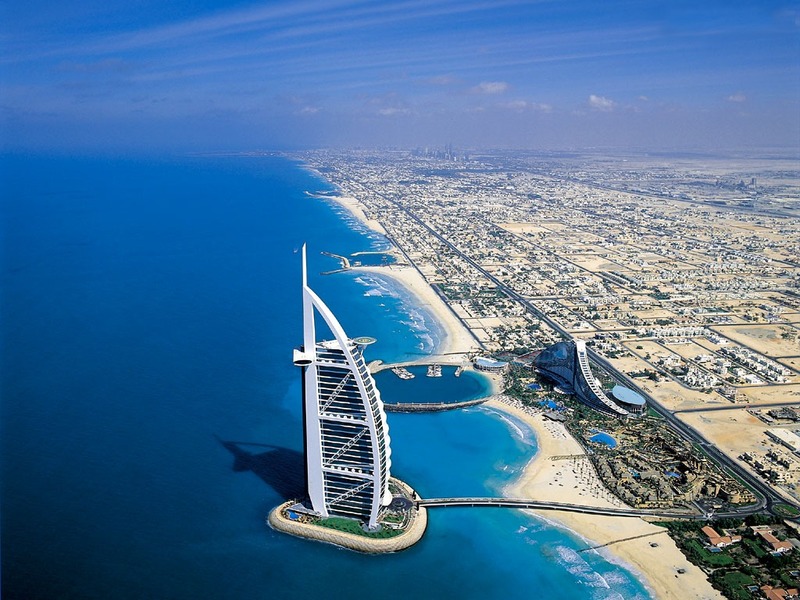 I would love to see Dubai as a stop on a bigger holiday. I want to see the amazing hotels and the big shopping centers and general extravigance. It looks like a manmade paradise. Whats On Your Travel Bucket List? 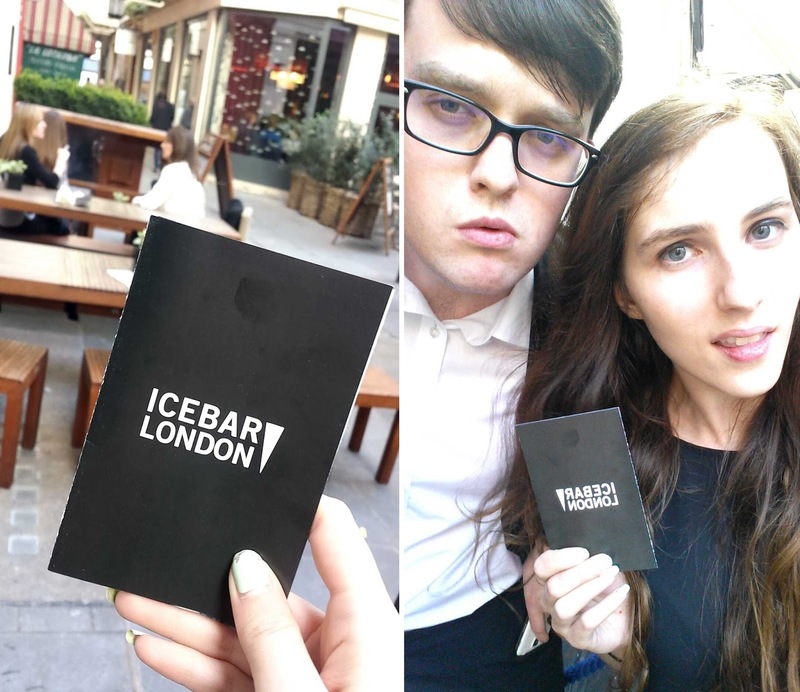 Todays post is about my recent visit to the ICEBAR, just off of Regents street, hidden down a little side road with the most lovely, pretty bars & restaurants outside! 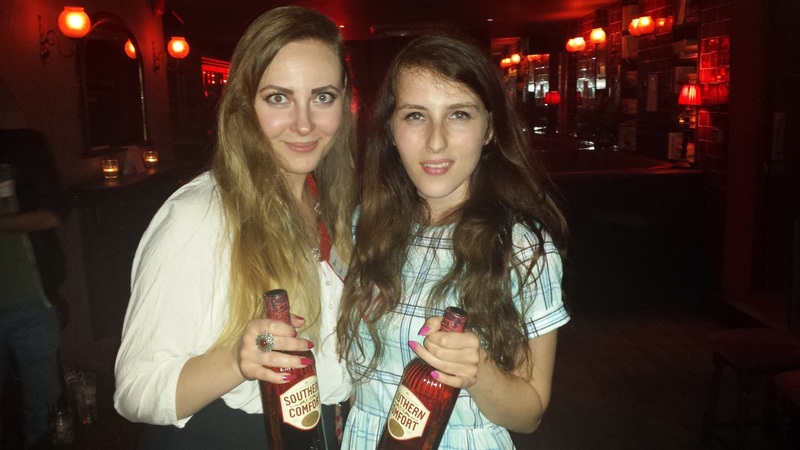 I've been before for a blogger event and I think we went for Andrews 22nd or 23rd birthday but we hadn't been there for a while so we were super excited to be back! I arrived a little early and got talking to Tom, who told me that the ice comes straight from a frozen flowing river all the way from Sweden. It arrives in London in big blocks and is shaped on site by specialist ice artists. Since it is taken from a flowing river, you are able to see the ripples in the water if you take a proper look. I was so pleased to have spoke to him before I went in so I could have a look for myself when I get in! Of course he was right and it was so pretty. He also told me they change it once a year and I was lucky enough to visit just a week after its latest update - it's currently food themed - It's like they knew I was coming haha. We donned out big blue coats and made our way inside! There was a giant ice cupcake and the bar was designed like an ice cream van serving all the drinks but my favourite was definitely the giant ice pineapple in the corner - how cool?! 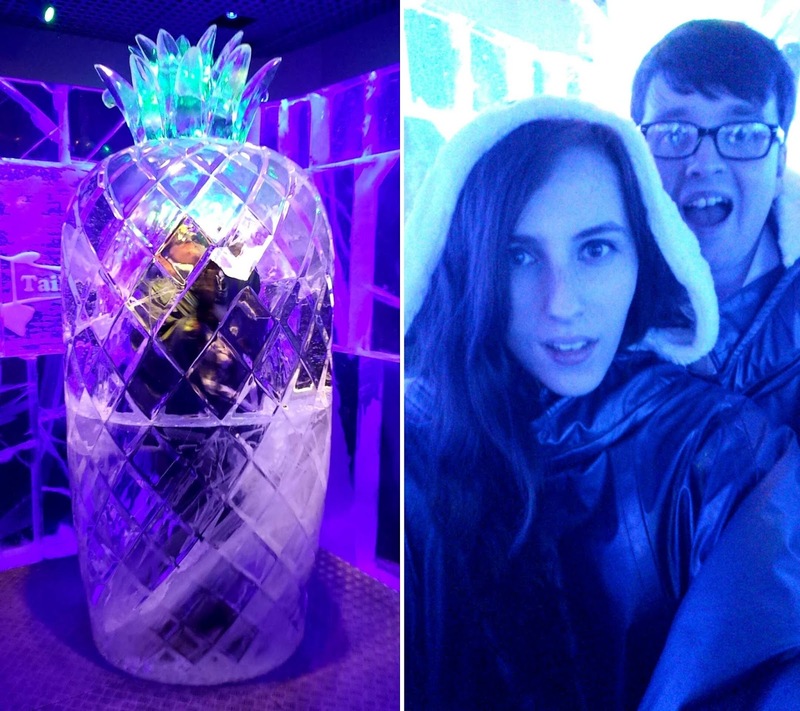 The ice bar is one of those places you just cant leave without taking a selfie (or 100). Luckily for you guys, I have just included one here! After our visit to the bar, we warmed up downstairs with a meal at their restaurant. It was a lovely candle lit atmosphere and we both enjoyed three courses. I started with prawns and Andrew had fried chicken, which we both agreed tasted very homemade, not greasy at all and really lovely. We both went for flat iron steaks for mains which came out cooked just as we asked! Perfect with triple cooked fries and salty kale mmm. and to finish I had a chocolate mousse covered in nuts and Andrew had some ice cream conconction. I just cant have a meal without dessert and this hit the spot! And you cant go to the ice bar without enjoying some of their lovely cocktails - inside and out of the bar! Inside, I always go for their mocktails, I love them so much - its something like strawberry syrup and apple juice and it is delicious, I have looked forward to it at every trip! Outside the bar and with dinner we tried one called "Crumble" which was made from Absolut vodka, cinnamon, apple juice and blackberries and a pornstar martini which is my go to cocktail! Both delicious. 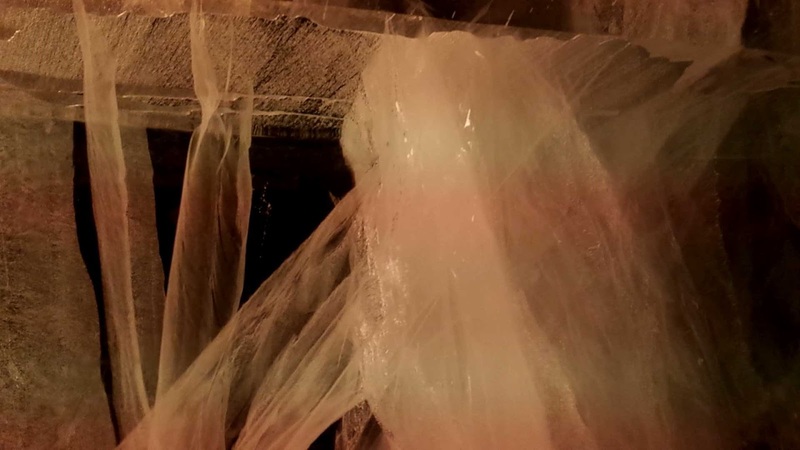 ICEBAR is a great experience whether you are going with a big group of friends, a partner or even a family night out - all three of which I have experienced! It's certainly different from your usual night out in London and if you haven't been at least once, I would recomend trying it out! Big thanks to Transun & The ICEBAR London for sorting out my visit! 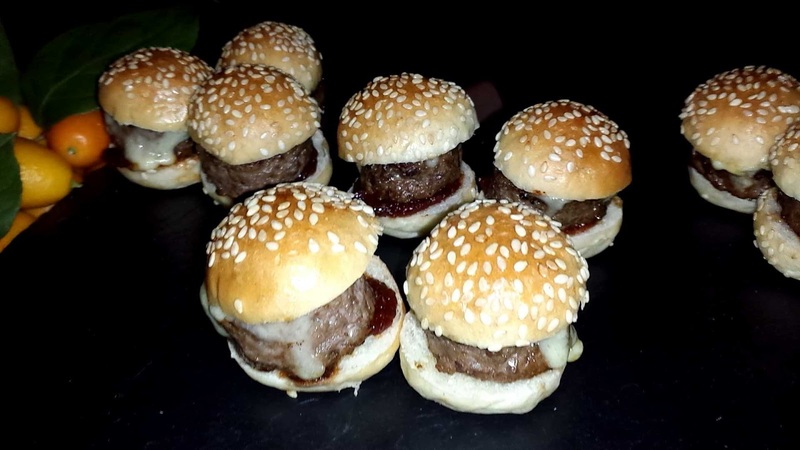 Have You Been To ICEBAR London? So with festival season fast approaching I’m sure many of us have been hitting the gym in order to get into our daisy dukes, and that floral croptop we’ve been lusting over on ASOS. But when we put so much effort in before the big weekend, the last thing many of us want to do is put all that hard work to ruin by binging on burgers and beer. It’s easy to get swept up in the heat of the moment, and the smell of course doesn’t help much in the way of tempting us. However staying fit and healthy during the festivities can make us feel better and keep us dancing well into the early hours. Although most days are probably going to contain a few or more of your favourite tipple, try and keep topped up with good old H2O. Unfortunately with toilet queues being of epic proportions, it’s probably not convenient to try and down your daily 2 litres, but just having a bottle of water on you at all times and sipping it throughout the day can help ease the hangover the next morning. With many alco-pops being high in sugar and calories, if you’re really trying to be a saintly sinner check out this list of some of the best drinks to order in the beer tent. I think we can all agree that finding fruit and veg at a festival is almost impossible. And finding time to eat a balanced meal even more so. But don’t forget those vital vitamins that can keep you on top form. As well as taking along some multi-vitamins that you can take in the morning, try and find some food places that do fruit smoothies so you can still get your daily dose of the good stuff. The smell of frying bacon wafting across the camp site is enough to make you drool, but if you’re watching your waist line opt for a more stable food that can keep your energy levels up for the rest of the day. Eating complex carbs that can be found in Porridge, or even a whole wheat bagel will keep you fuller for longer, and make you feel full of beans throughout the day! To avoid the temptations of naughty foods you could be super-duper organised and carry some healthy snacks in your bumbag. Almonds, dried fruit or beef jerky. Anything that’s going to help you stay nourished and dance ready. Admittedly it’s hard to be healthy when it seems socially wrong at a festival, especially when your friends are perhaps letting their hair down. But you can make simple swaps that means you can continue feeling like part of the gang without having to sacrifice your dedication to being healthy. If you really don’t want to drink, there are lots of non-acoholic drinks available now that look like they could be. A mocktail or two and they’ll never know you’re not drinking. Alternatively if you don’t want to smoke and litter the festival with all of your stubs, e-cigarettes are becoming much more popular, especially when there’s drinks inspired flavours such as these to keep you in the party mood. 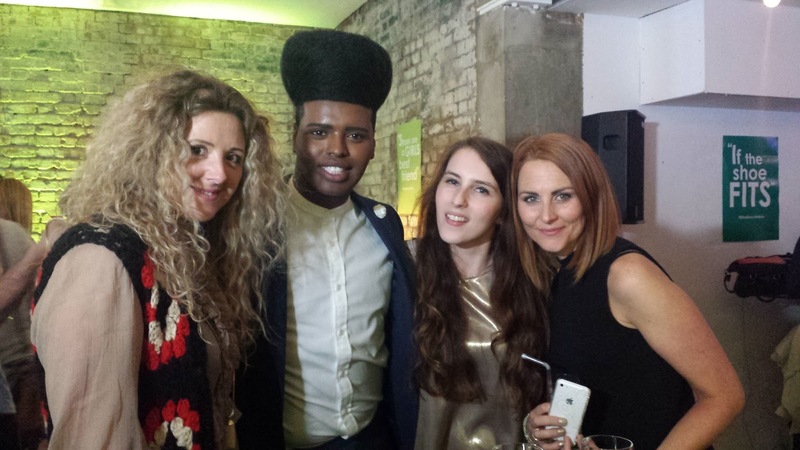 I haven't done a blog post like this for ages but I have been to some fun events recently and I wanted to share them all with you! I got up super early for breakfast at the Ham Yard Hotel. 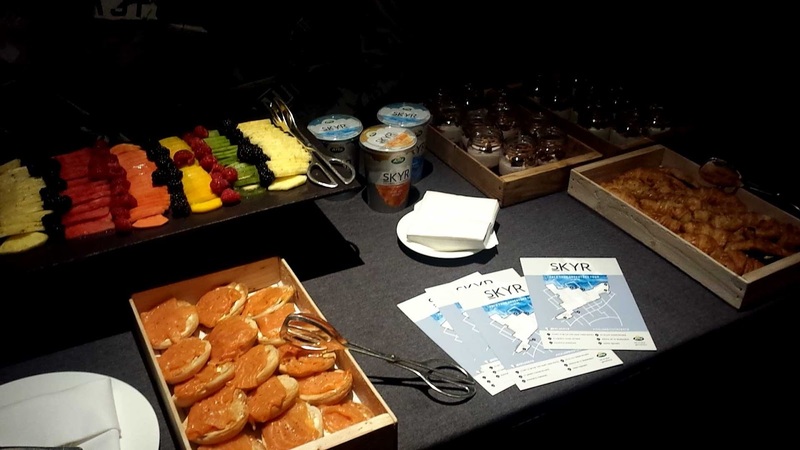 We were there for the launch of Skyr, a new, naturally fat free, reduced sugar and high protein yoghurt. We started with a group chat with the nutritionist who gave us some great ideas for interesting ways to eat yogurt from smoothies and pancakes for breakfast to incorporating it into dinner with curries or fajitas. Then we sat down for breakfast. If you know me you will know that a hotel breakfast is one of my favourite things - there was orange juice and sliced exotic fruit. There was smoked salmon and savoury croissants stuffed with spinach and bree which were amazing. 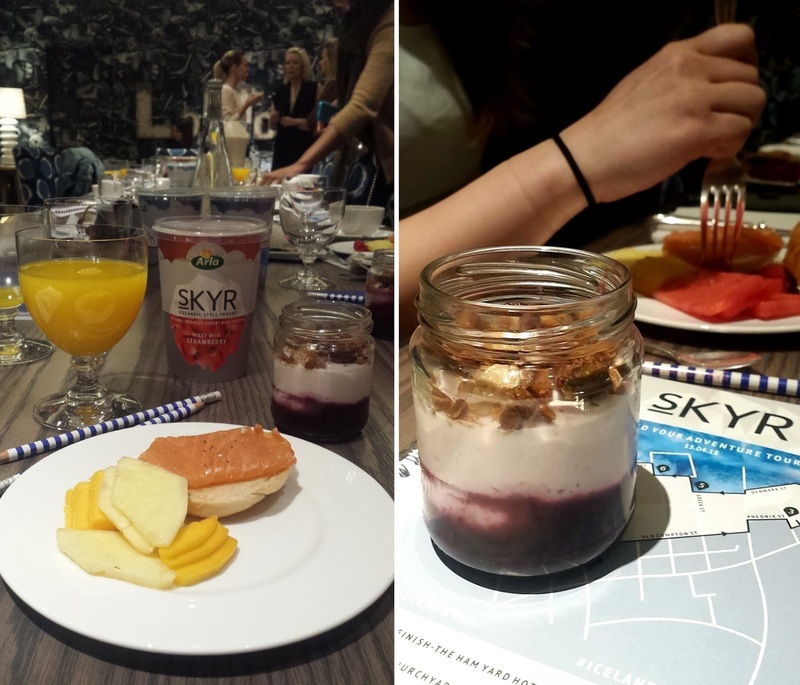 And obviously there were cute little pots of yogurt layered with honey or fruit comport and topped with muesli and walnuts. It was creamy and had a lovely flavour. I finished off the whole pot without an issue! 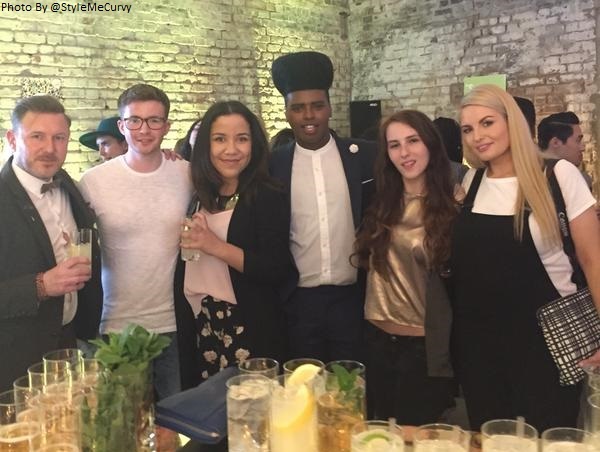 It was a super hot day in London and I was invited along to an event at Joes Bloggers HQ at Kings Cross. The offices were amazing and we spent the night in their amazing breakout room with the big window doors open looking out over the little square below. 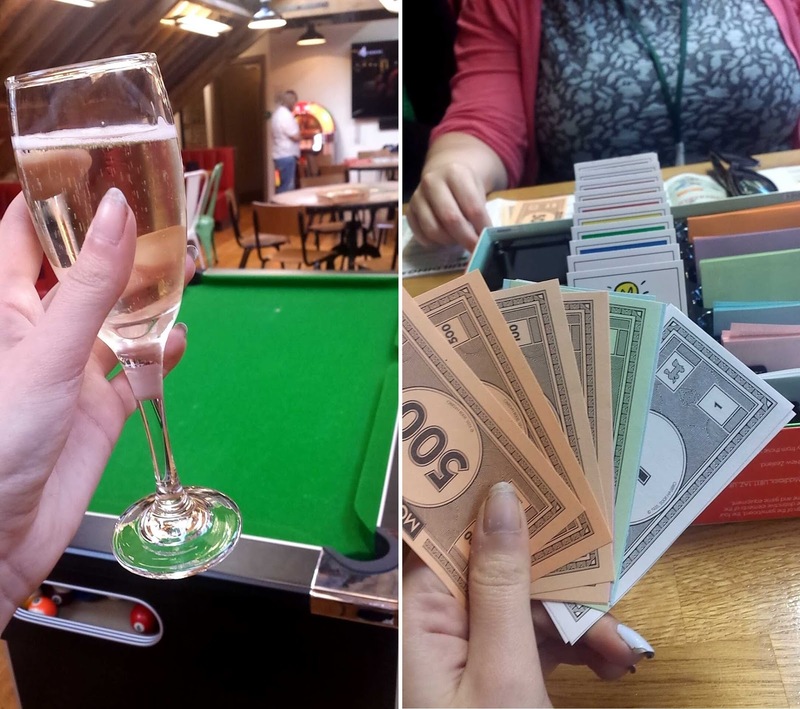 The night was spent playing Monopoly which I think must have been a nod to the investment thing since the night was hosted by Legal & General, to promote their investment products! 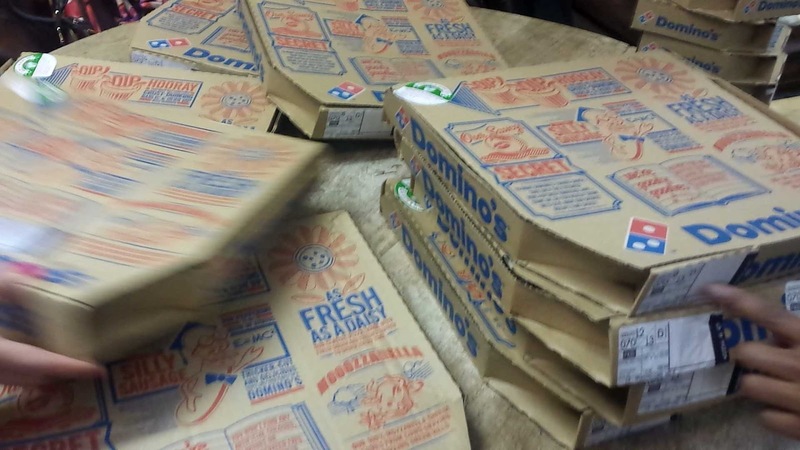 Of course there was lots of pizza and prosecco too! 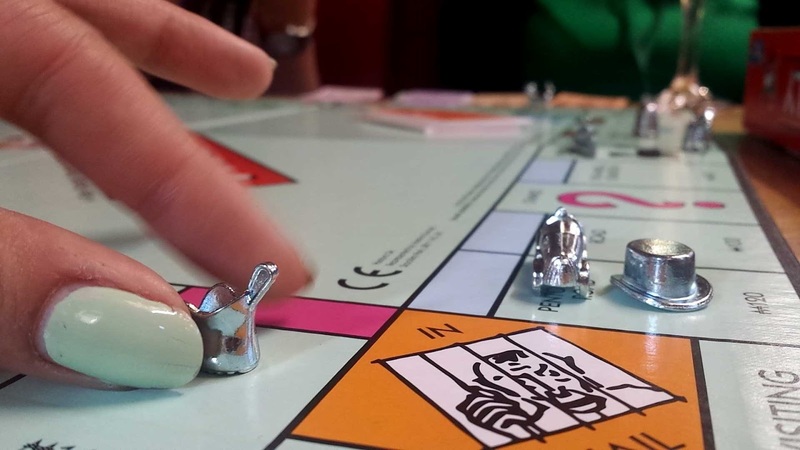 I had no idea how to play monopoly when I was younger and I still have no idea now but it was a lot of fun - much down to the crazy table I was sat on - we were definitly the loudest! 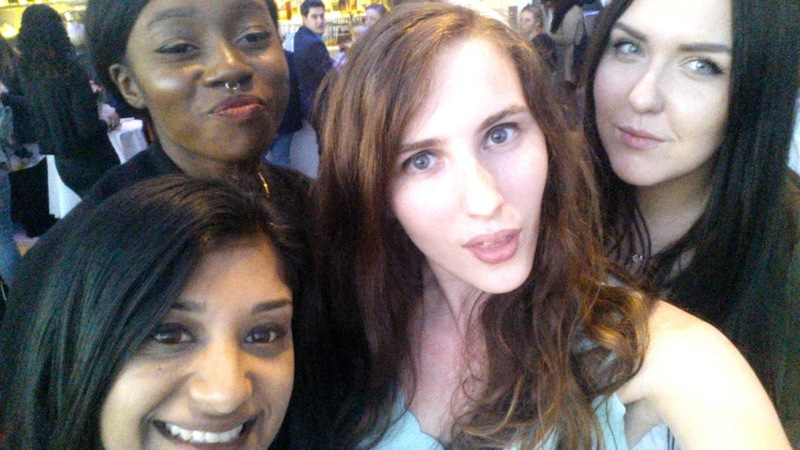 I think this was my first Friday evening event and to be honest, I was a little skeptical about giving up my Friday night for an event but I am so glad I did because it was one of the best events I have been to in ages! 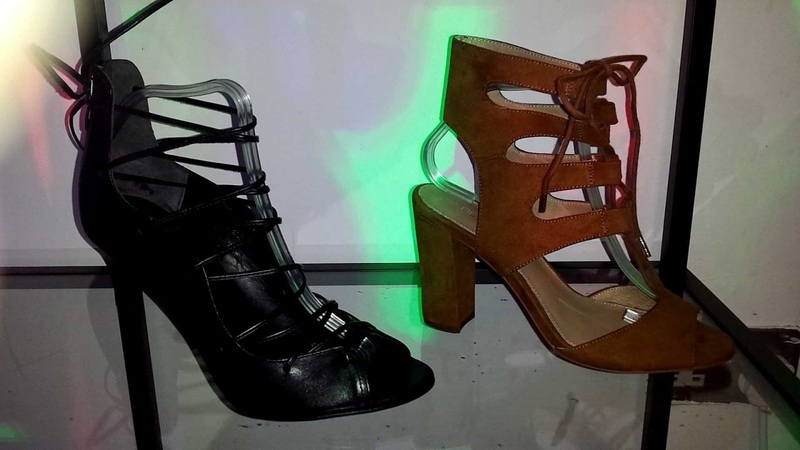 Next let me pick a pair of shoes to wear to the event (outfit post to come soon!) and I came straight from work, getting there early as per usual. I went straight over to the shoe customization table and got stuck in before the crowd arrived. There were pretty shoes everywhere and the food and drinks were flowing through the night! As well as that, there were manicutists, games and random outbursts of dancers dancing every now and then. 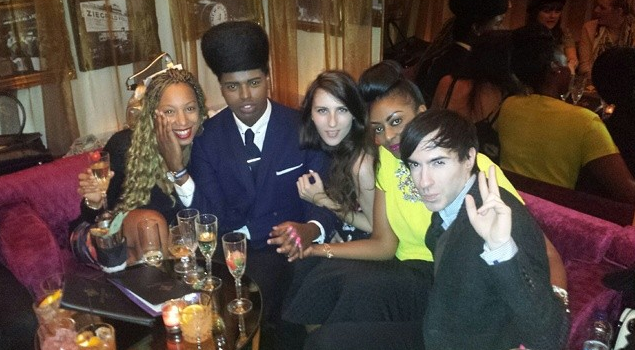 A great night with my blog friends and a great company - Thanks Next!! 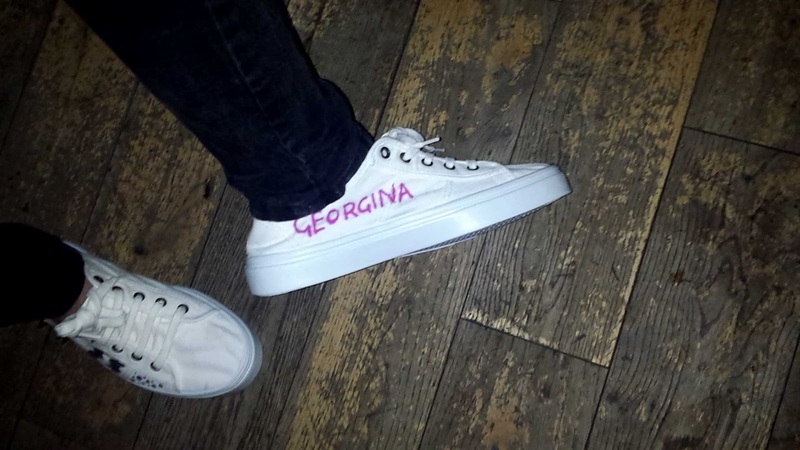 Afterwards I was off down the road to meet Andrew and Stefan to continue the night in Shoreditch - I was super excited and switched into my new Georgina trainers to dance the rest of the night away! 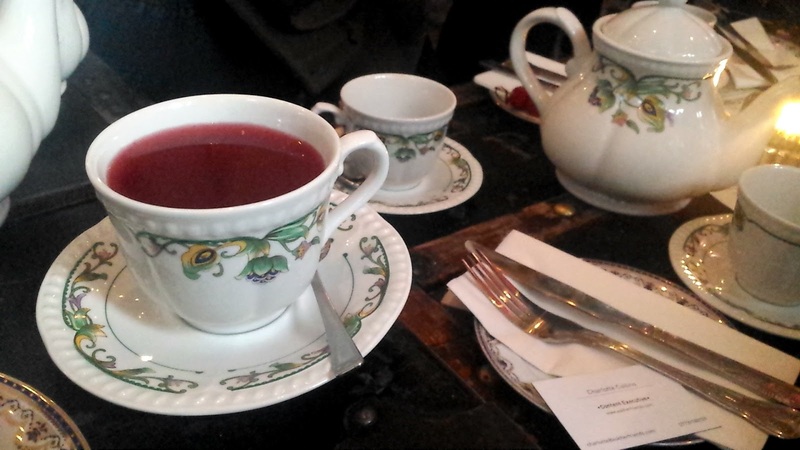 Andrew and I were invited along to have Afternoon Tea at Mr Foggs. It's a quirky concept bar modelled on the Mayfair house in which Phileas Fogg would have lived after travelling Around the World in 80 Days. We followed a little side road winding off into the distance somewhere behind new bond street and arrived outside a strange little building in the middle of nowhere. Let me start by saying, the food was not to up to big London hotel standards but a visit to Mr Foggs is all about the experience and that was amazing! We started off with a little champagne cocktail in a tiny tea cup. 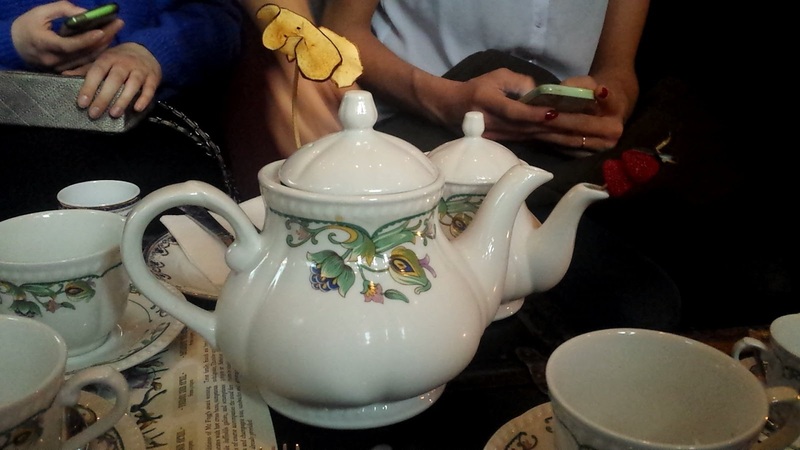 Since there was a big group of us, it meant that we could have a taste of almost all of the cocktails and watched in amazement as all different sized tea pots came out and were placed on the table in front of us. 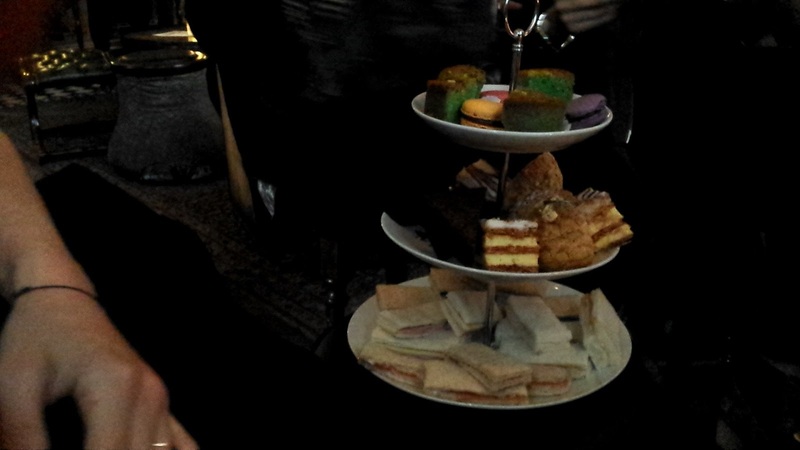 They all had strange little things sticking out of their lids, dried apple slices, cherries, sweets ect. It was a super fun afternoon! 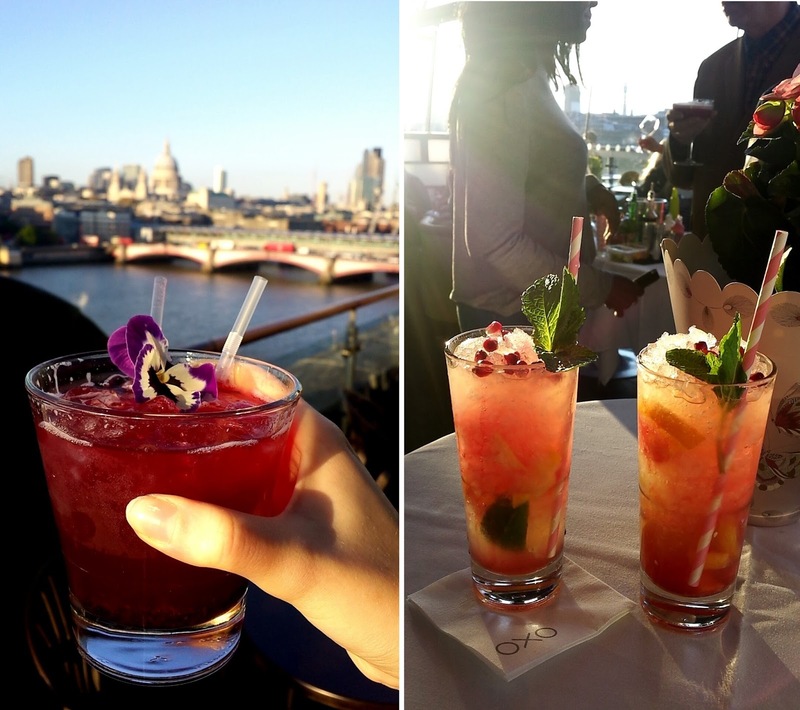 I popped along to The OXO tower with Sherin last week for the launch of Echo Falls new fruity wines. We spend the evening sipping of the cocktails which were surprisingly tasty - I wasnt too sure what to expect from a wine cocktail but they were delicious. The white wine was definitely my favourite with tones to white peach and mango. 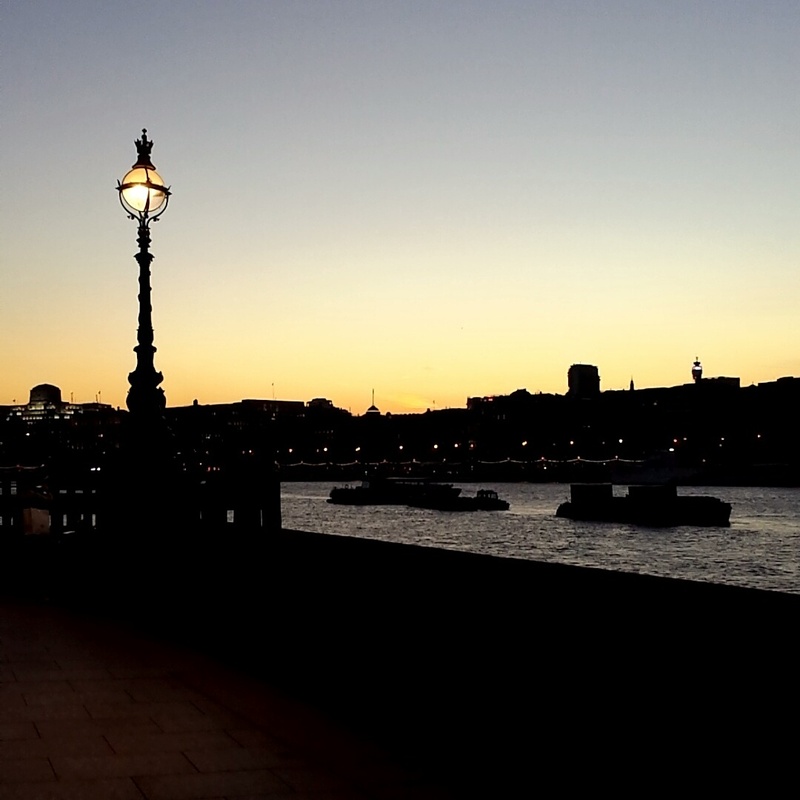 The view of London from the balcony was amazing and the sunset on the way home was just as pretty! I left with a bottle of wine and a cocktail mixer so hopefully I can have a go at making a cocktail or two myself! I remember when the first ever set of these these perfumes came out when I was around 15, my best friend had one and I used to love going to her house and spraying it all over me haha. 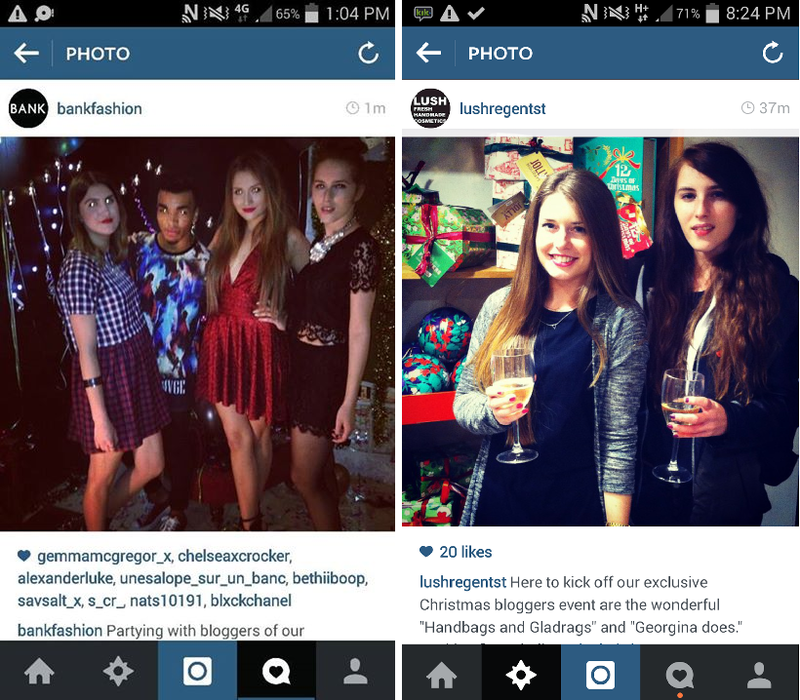 They were the cool new perfumes from Gwen Stefani and there were 5 cute little dolls to collect. They were pretty cool back then but their new updated look is super sleek and much edgier. As much as I love the bottle, I also love the box it comes in, I am a big fan of the drip design and use to have it on my nails all the time! One thing that I though was cool was on the inside flap of the lid, it says "A fatal Attraction To Cuteness" which I loved - it gave that super cute but a little bit sinister feel to it. The one I have here is called Love but as I said, there are five in the collection and they are each a different metallic colour. Online, I loved the colour of the green one although the scents mentioned in this one sounded more my type - "A mouthwatering fruity floral, featuring juicy apple, dewy pear, surrounded by jasmine, cashmere woods and creamy musks." I'm pretty pleased that I went with this one because I absolutely love the smell. Its super fruity as it said but it's very sweet and so fun too! I've been wearing it everyday. 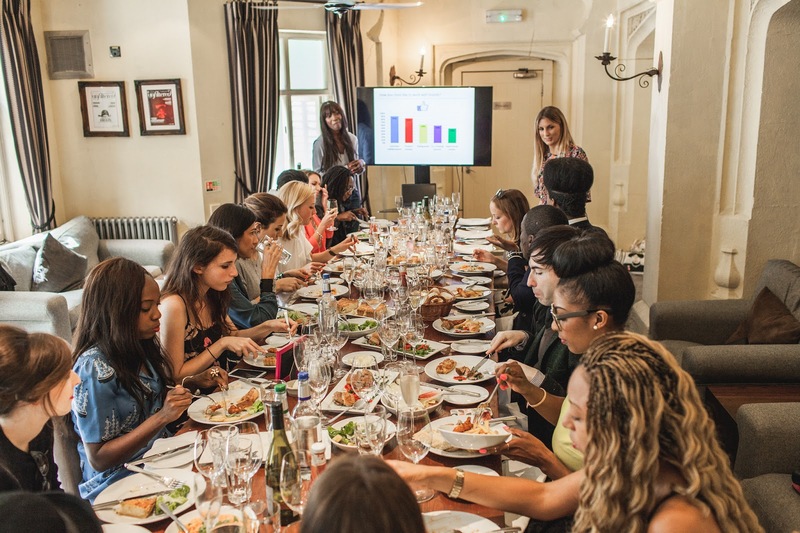 I remember my first day of blogger events - It was half term and I had been invited to three different things so I thought why not make a day of it. I started at Hush Brasserie in Mayfair for a breakfast with Lands End which was super exciting - I've come to love a good breakfast event. Next I was off to meet with some random lady from the internet who was asking for models on twitter (some of you might know her - Helen from Helens Wardrobe ). I'd never been to that end of London so I brought Andrew along. I left with some amazing photos for us both to use (check my side bar photo) and a new friend so that worked out well. We have done lots of fun, scary and exciting shoots with her since! 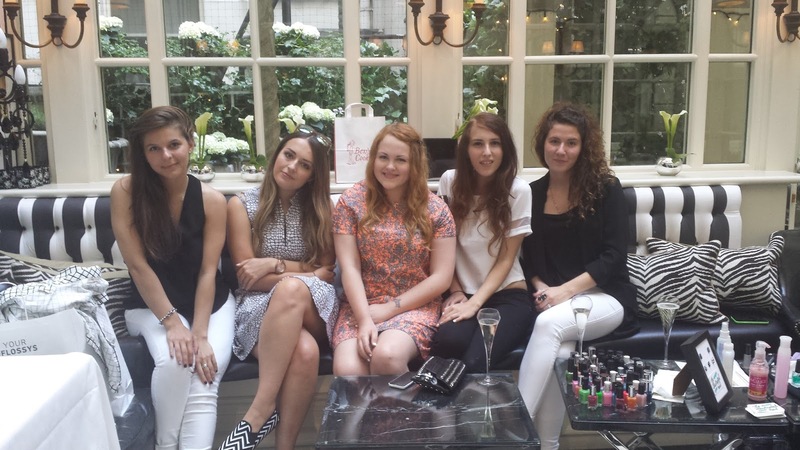 After that I was off to shoreditch for my first beauty event with Benefit for the launch of their Fake Up. Not bad for my first few events. 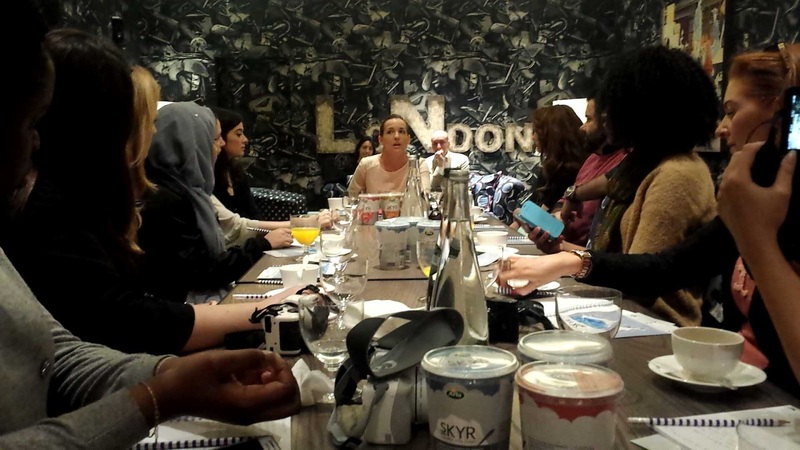 I learnt alot about what sort of things you should be expecting and prepared for from a blogger event. I like to do this both on the brand and the guests. Usually there is a # so I love looking through that before to see who is going along and what everyone else is saying about the event. Try to reply to some of the tweets, you might make a new friend before you even meet them! I also like to see what else the brand is up to - what other products they do or anything fun they have been working on. Lastly but still very important, do some research about the location of the event - work out how you are going to get there and back safely. I know alot of bloggers back out of events because they are worried about one thing or another but seriously, even if you are a little bit worried make yourself go - you will not regret it. If you are worried about going alone, maybe ask for a plus one, or as I said before, make some friends online with other people who will be there. Nowadays, I actually prefer to go alone - that way I have to push myself to talk to new people whether they are bloggers or the organisers. This has only become relevant to me recently but I find scribbling down notes on the night makes the blog post so much easier to write. Even if its little notes like product names or silly thoughts that might be useful like "Gold cutlery - super pretty." Its also a great place to note downs peoples blogs or twitter handles. Business cards are really important, at first I didnt think they are, but they are. When I was new to blogging and I didnt want to buy them (so I made some) but when I won the opportunity to create some for free, I was so pleased with the result that I wish I just went ahead and bought them in the first place. You look and feel alot more professional pulling out a proper custom business card. Join in with the interactive parts of the event, sometimes it might be "tweet us a photo in our selfie frame" or something like that! I love to send a tweet or two from the event to keep my followers updated with what I am doing, when I am doing it - use the # and include the brands @. Most of the time, they retweet things while your still there. As much as I think number 5 is important, it is more important not to spend the whole night staring at your phone and try to get involved with everything the event has to offer. Of course, everyone will be on their phones throughout the night but try to cut it down as much as you can - you'll be much more approachable and able to give the conversation your full attention - smile, be friendly and ask questions, you never know who you might be talking to - you can check your Facebook notifications when you get home! Those are just a few but if you enjoyed it, I'd love to write up some more! Let me know what you think? Andrew and I go out on date nights quite alot so whenever his parents go on holiday or for a weekend away, we like to have an at home date night which usually involve bringing his double duvet down to the sofa, buying yummy food and watching TV as loud as I want to all night haha. 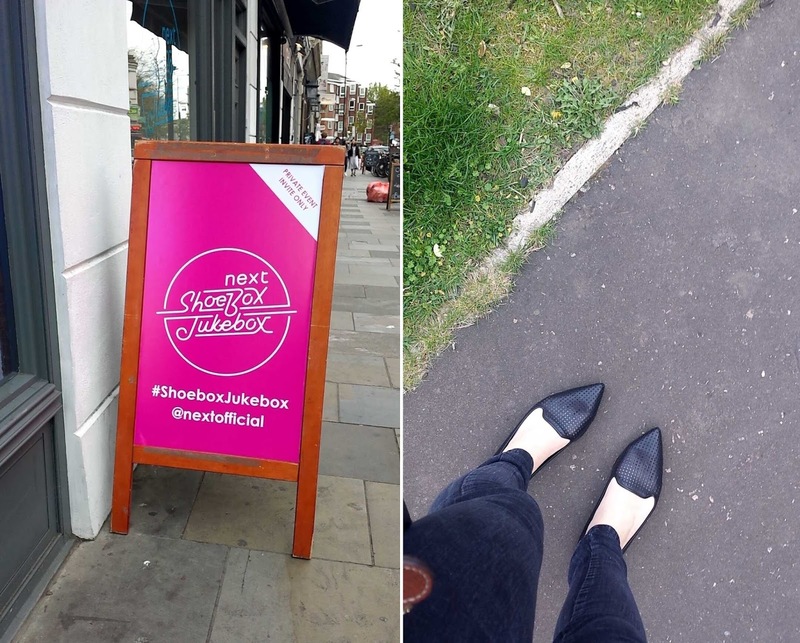 Jacamo recently got in touch with their new campaign which is dedicated to helping the men of Britain get off on the right foot, in both the shoe and the dating department. To go along with this, they sent me a box of goodies and told me to leave it to Andrew. 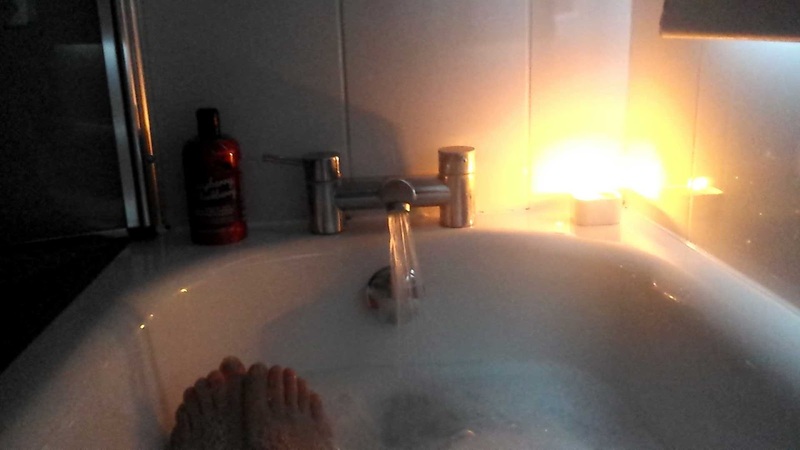 The box was full of all the sorts of things you want for a perfect night in - bubble bath, candles, chocolates, a film and two little bottles of prosecco. We are pretty well known for eating out and having no idea how to cook so we decided to cook dinner together. We made fajitas on my mums suggestion and they are pretty good! 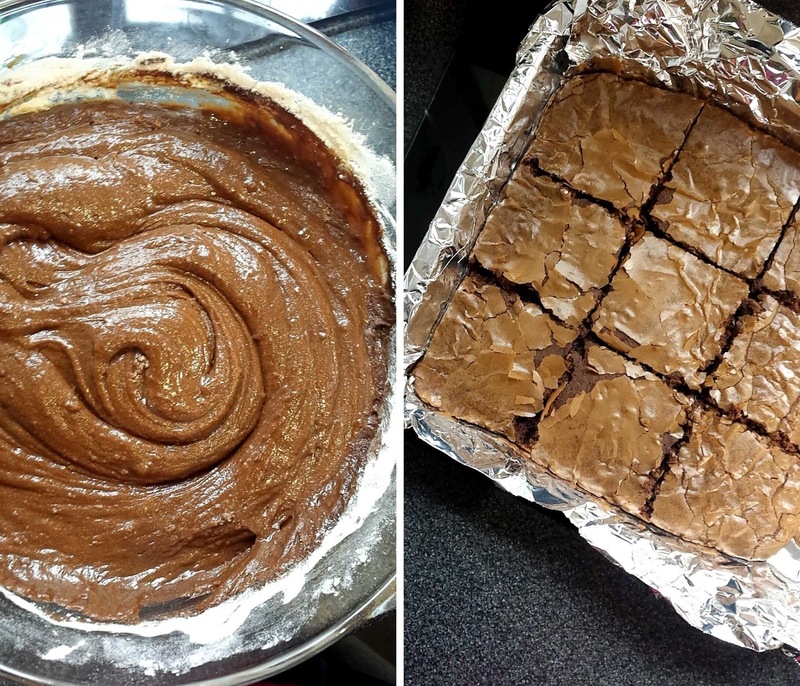 I also made brownies earlier in the day which came out fantastically - Andrew ate 5 of them as the night progressed. 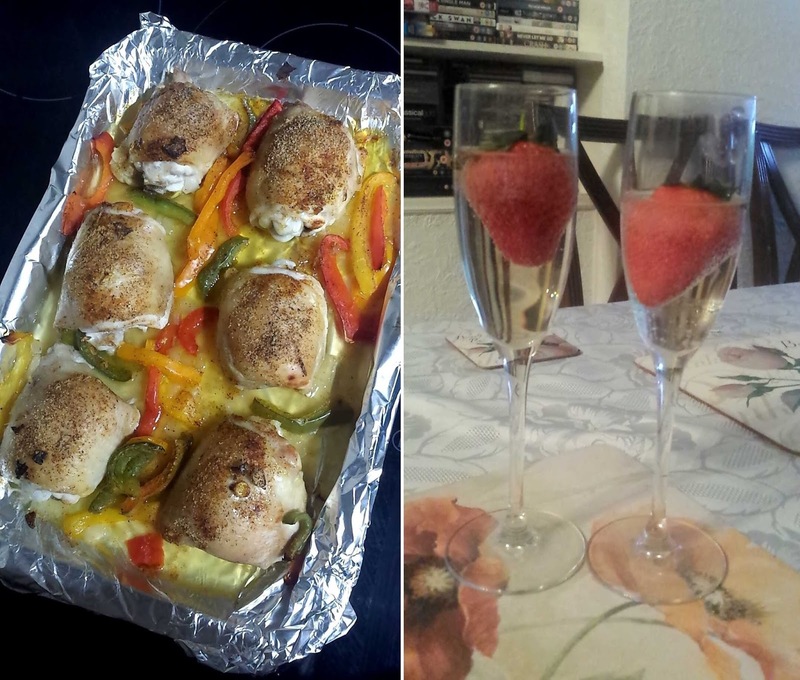 After dinner we settled in front of the TV with a glass of prosecco, some strawberries and the film - Friends With Benefits, which strangely was a chick flick that we hadnt seen. 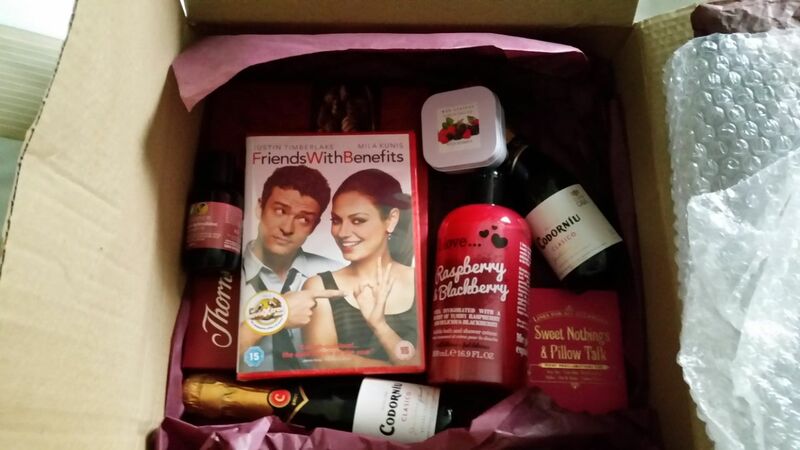 It stared Justin Timberlake and Mila Kunis so we were both pleased to watch it!